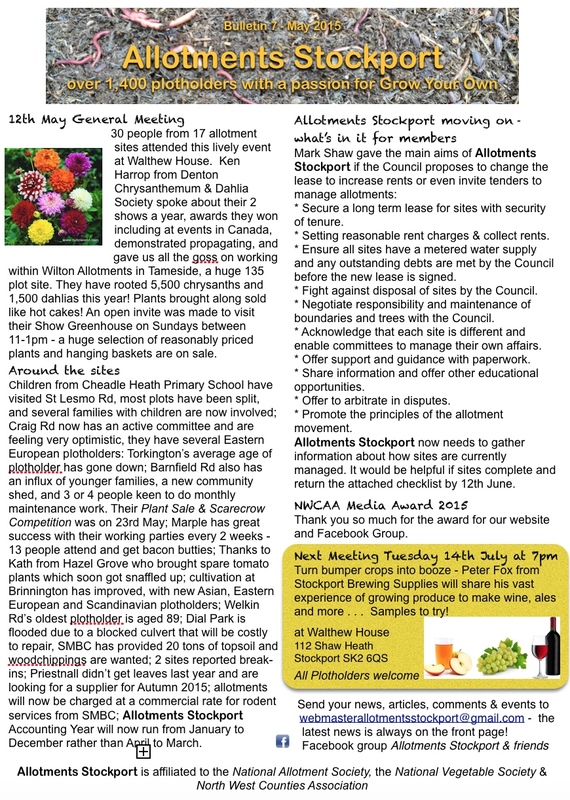 Welcome to Allotments Stockport website, packed with information about everything allotments! Over 1,400 members (+ family and friends) cultivate allotment plots in Stockport, all passionate about Grow Your Own. Allotments Stockport began as Stockport & District Allotment Society in 1945 to campaign for allotment rights on behalf of it’s members. If you want to cultivate an allotment plot, contact a site near you and get your name on the waiting list. Put your name down at as many sites as you wish – some have a longer waiting list than others. Make follow up calls to see where you are on the list. We advise you to visit the allotments to look round and show you are keen! 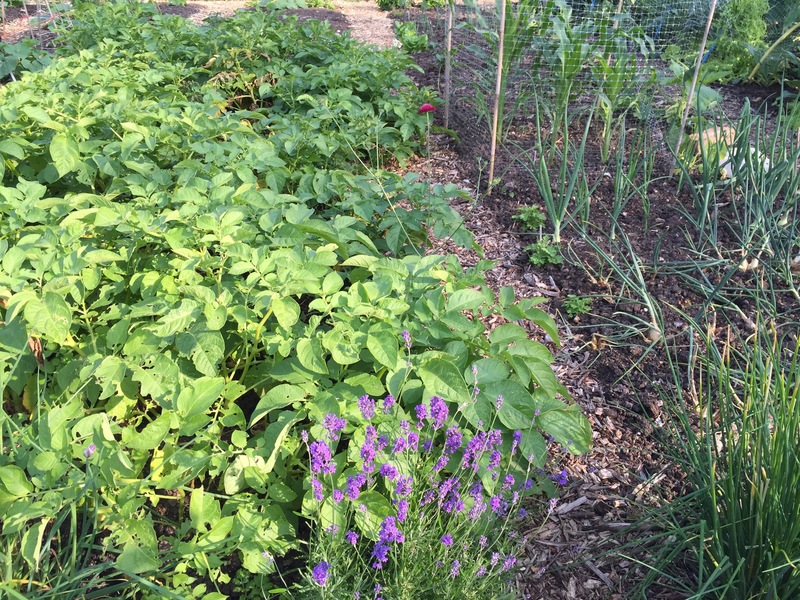 If you have an allotment and your site is an Allotments Stockport member – an annual subscription is paid through your fees. It means you have access to NAS, the National Allotment Society that lobbies government on issues of allotment provision, use and protection. 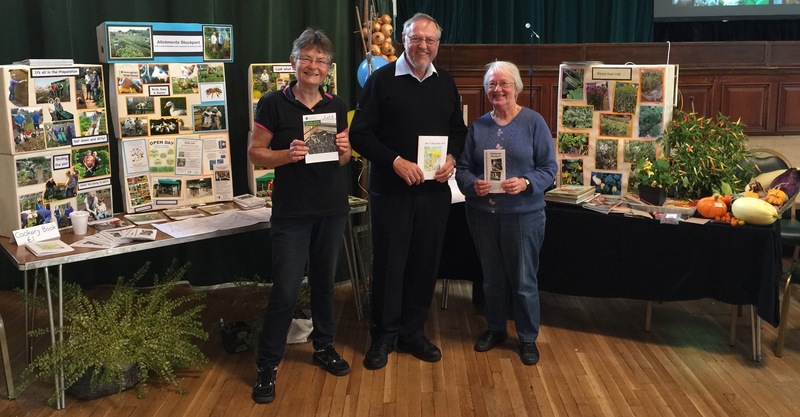 On Monday 5th October 2015, Allotments Stockport had a stall at the Health & Well-being Day in Stockport Town Hall. Visitors were invited to take part in the “Name that veg . .” competition, invited to add their names to allotment waiting lists, and we did our best to answer all the questions on Grow-Your-Own. This website is updated regularly. Keep logging in for all news allotments. 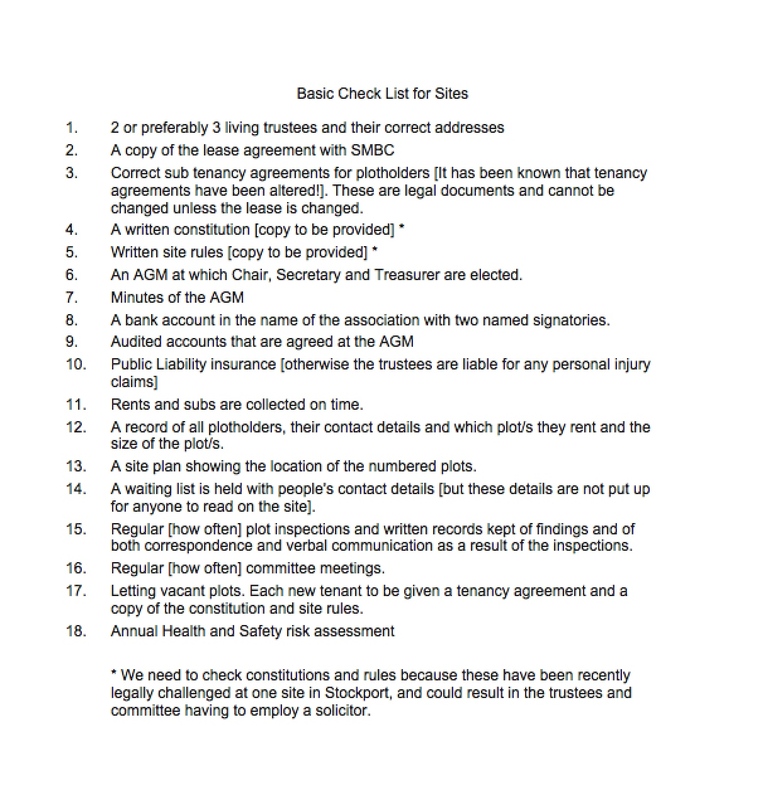 Do you want to set up your own site committee? 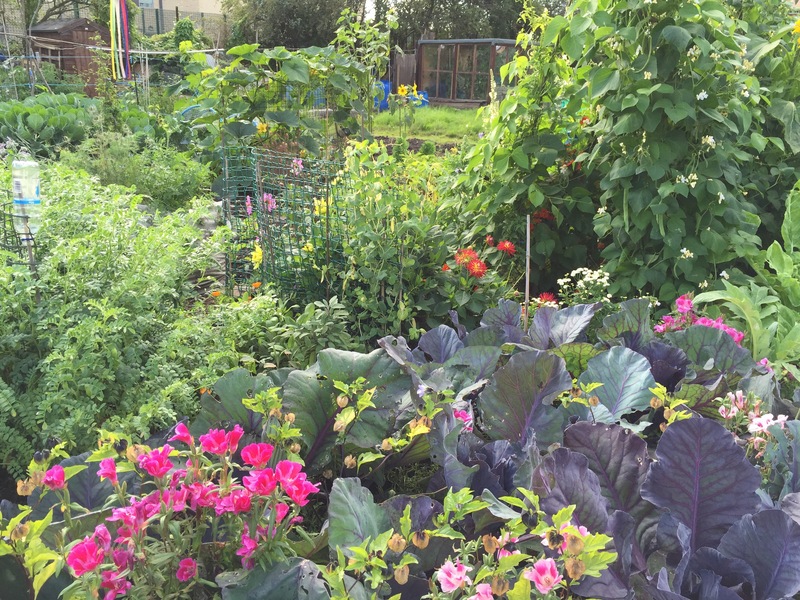 Allotments Stockport has experienced members who are happy to give advice on how to run an allotment society, set up a committee, supply model constitutions and rules, how to go about collecting rents, making an agenda and taking minutes of meetings, etc. Any chance of this being on Facebook in the future?